﻿Edward W. Rausch - Bilfield & Associates, LLC. 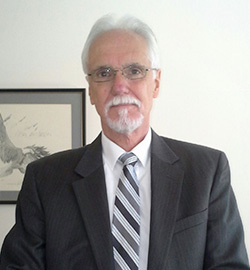 EDWARD W. RAUSCH is of counsel with over 40 years’ experience in criminal and domestic litigation. Edward practices law in and about Cuyahoga, Lorain, Lake Portage, Medina, Wayne, Delaware and Summit Counties. He is admitted to practice in all Ohio courts and various Federal trial and appellate courts. Divorce: Divorce is the legal process by which a marriage is terminated. It can be through a contested process, uncontested process or through a Dissolution of Marriage whereby the parties enter into a divorce contract know as a Separation Agreement. If there are children of the marriage then a Parenting Plan would be necessary. Under certain circumstances a marriage can be annulled. Custody and Visitation: Child custody is the determination of the custody and visitation rights of the respective parent. Incorporated herein would be the Child Support determination. Grandparent visitation rights: All 50 states and the District of Columbia have enacted legislation enabling grandparents to petition the courts for visitation rights with grandchildren. The laws do not make granting of visitation rights automatic – they merely give grandparents the right to ask for a visitation order. Ohio courts encourage grandparent visitation when grandparents have difficulty securing visitation through their children.